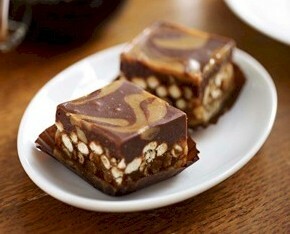 Valentine’s Day is a great excuse for indulging in a rich dessert, like my Starbucks Salted Caramel Sweet Squares! If you’re looking for some inspiration for dessert for your Valentine’s Day Dinner at Home, try any of these recipes. My friend Christy Jordan of Southern Plate (She’s going with me to Ecuador!) 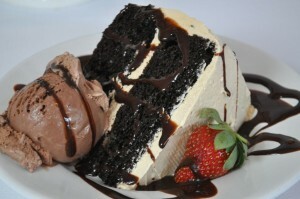 makes this incredible Cappuccino Cake from her memories of one of the signature desserts of Darryl’s Restaurants. I actually worked at a Darryl’s when I was in college, so I know this cake well. Coffee lover? Meet your new favorite dessert! 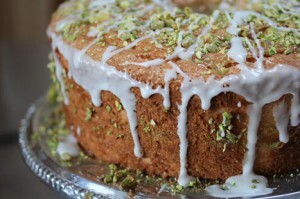 Can’t you just see this Angel Food Cake with its gorgeous lime glaze and pistachios just like a pop of color on your Valentine’s red and white table? I love the presentation factor! 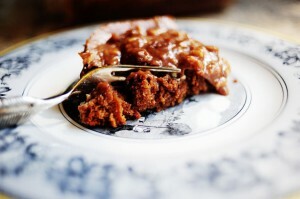 My friend Erin over at $5 Dinners has created a show-stopper with this dessert. This Milky Way Cake from The Pioneer Woman looks sumptuous, doesn’t it? This might be the one I try. I’m sure it tastes amazing! What are you making for dessert this Valentine’s Day? Please share your favorite Dessert Recipes with the Faithful Provisions community below. Tip: Post the recipe name you are linking to in the link title. For example, Chocolate Cake. Also, be sure to pick the matching image; it makes it so much easier to visually find the recipe you are looking for!